What inspires you? Maybe it's an inspiring quote or something fun that just grabs your full attentions. Kids need hands on ways to make their learning memorable and meaningful. Today, I will be sharing ideas you might use to capture your kids' attention on Earth Day, hold it, and hopefully inspire life long habits. In the classroom, you may find that time is limited, but I think most would agree that our environment depends on a team effort. Check out these book recommendations, hands-on activities, and must have resources. Hopefully, they will help you make the most of the time you have. The books chosen to share with students can send valuable messages and leave lasting impressions. 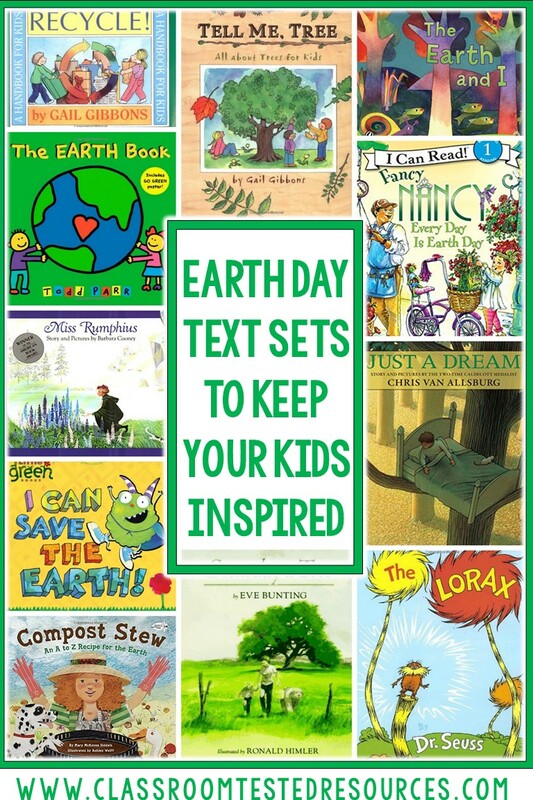 There are a few that are must reads including Just a Dream by Chris VanAllsburg, Someday a Tree by Eve Bunting, The Lorax by Dr. Seuess, and Recycle by Gail Gibbons, but using text sets to teach environmental studies have been proven very effective. Having a tub of books available for paired reading can lead to great discussion opportunities, provide ideas for written responses, offer suggestions of ways kids can make a difference at home and at school, and so much more. I often borrow a collection of books from the public library for this purpose as well as purchase at thrift shops and yard sales. 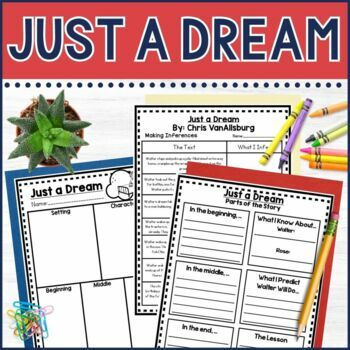 With your text sets, you might use the Jigsaw approach to extend the themes with group projects such as designing posters, trifold displays highlighting the themes, dioramas, or even educational brochures. What better way to demonstrate taking care of the Earth than working with it? Spring weather offers the perfect opportunity to get out and get your hands dirty, and children love it. Community gardening spots provide fresh produce too, so it's a win-win. Even if you are without space at your school, a field trip to a local nursery or farm can show students just how easy it is to grow fresh vegetables. Who knows? It might encourage healthier eating too. In addition to gardening, you might also emphasize the 3 R's in your classroom. Children can be very wasteful, so it's important to model the behaviors we want. Many schools have a recycling program, and we all know teachers are limited on how much paper they can use. When able, use electronic files to reduce the amount of paper consumed. For activities, you might bring in your "garbage" (clean of course), and have students sort it to practice identifying what's recyclable and what is not. If you want to reuse some of these materials, why not use them as containers for plants or another form of art. Additional ideas can be found on my Pinterest board below. Be sure to check out the board. It is filled with snack ideas, crafts, lesson ideas, and experiments you might try out. 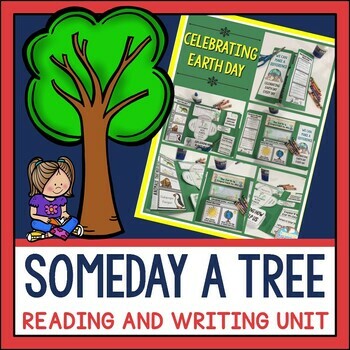 Follow Comprehension's board Earth Day on Pinterest. The third inspiration I'd like to share are a collection of freebies as well as two resources I think you'll want to explore. I scanned through Teachers Pay Teachers, and I've selected some of the best to include. 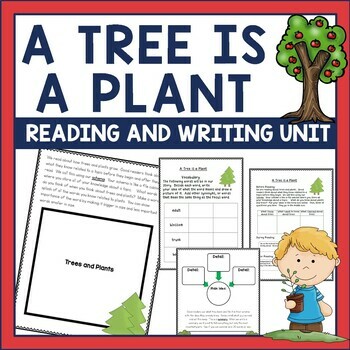 This freebie from Education to the Core would work very well in a primary classroom for guided or paired reading. 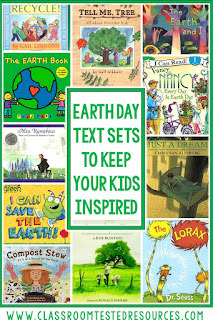 You might even reuse the illustrations for your students to make their own Earth day book. After all, reusing is one of the three R's. 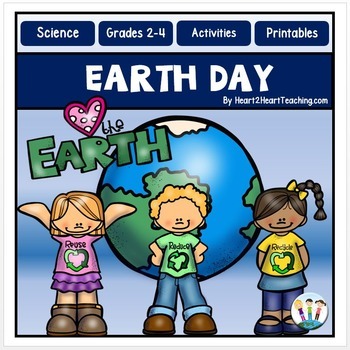 If you want to work on Earth day vocabulary and concepts, this freebie from Heart 2 Heart Teaching would work well, I loved the depth of this freebie, and can see it work well across a few grade levels. This set includes several organizers you can use as part of your science unit, with cooperative groups, and with read alouds. The last freebie is one I want to share from my store. It is a book companion to go with, A Tree is a Plant by Clyde Bulla. If you're teaching environmental studies, you have to include plant studies too. This is a great book with so many science concepts included. I hope you find it helpful. I mentioned at the beginning of this post two must read books, Just a Dream and Someday a Tree. Just a Dream is fairly well-known, but Someday a Tree is lesser known. It is about a sweet family who has long lasting memories of time spent lounging under this beautiful tree in their meadow. Well, the tree begins to turn yellow and die. They are devastated, and they do all in their power to save it. This book is a great lesson on how chemicals can pollute and damage plant life. It is the perfect book to leave a lasting impression. 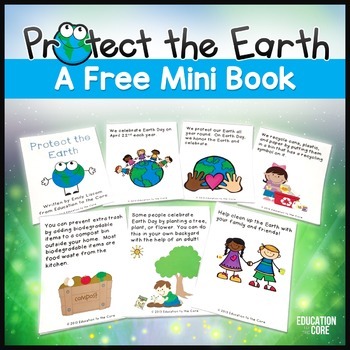 I have developed units to go with both of these book including an Earth Day Lapbook (in both book companions). You can explore them further by clicking the images below. 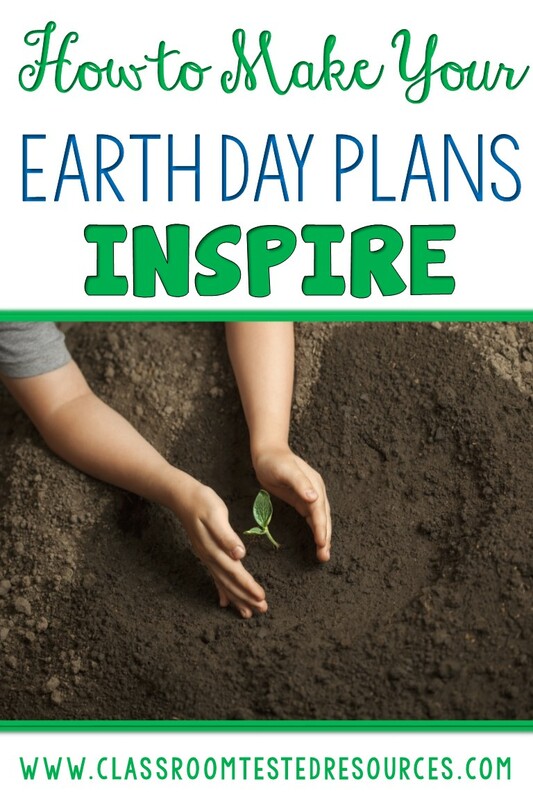 I hope your Earth Day plans inspire lifelong habits that will help your students love our Earth, and I hope these ideas help make your job just a little easier. What an awesome article! Love all your ideas and activities to celebrate Earth Day! Thank you for taking time to share these with educators around the world!